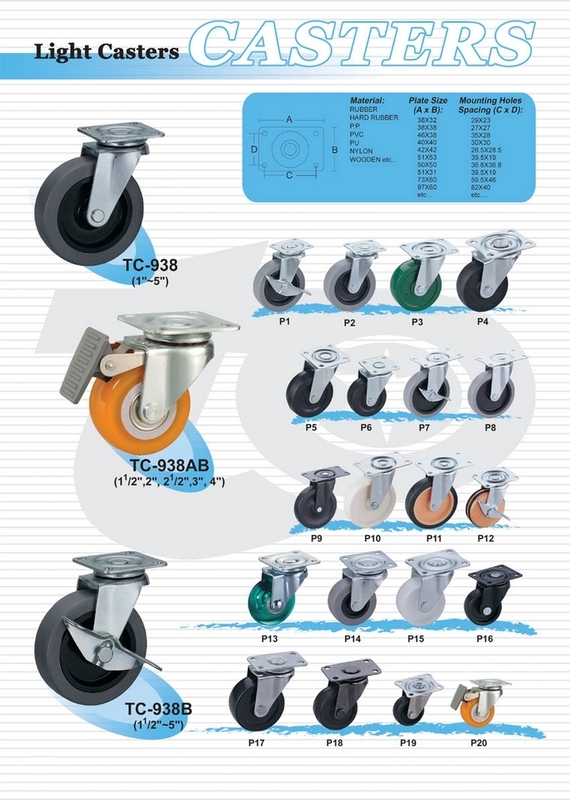 TUNG TIEN ENTERPRISE CO., LTD.
Caster will differ depending on wheel type and diameter. Zinc plating finish is standard, other plating colors are available. If you need customized casters or more details, please contact us with your requirements. Tung Tien is the most famous Caster & Wheel supplier in Taiwan. Furniture casters, medical casters, industrial casters and institutional casters form a specialized manufacture. For more information in choosing the right casters for your application, or to request a copy of our catalogs, please e-mail to tungtien@ms38.hinet.net.